Different structure cards box including packaging box style, cardboard lid and base style box, book shape magnetic box, ribbon closure box, custom design. 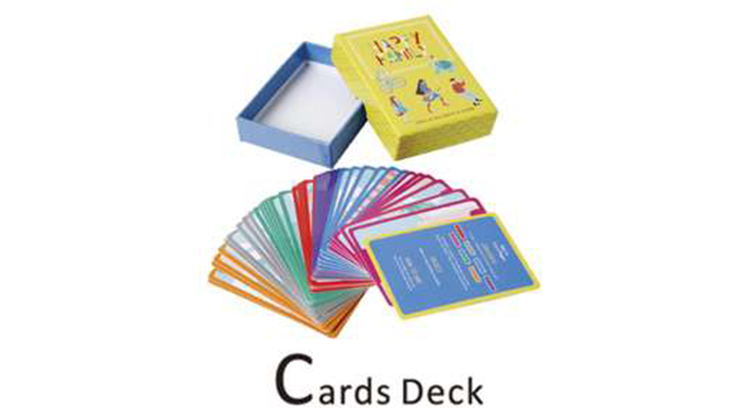 WOULD YOU LIKE A MORE APPEALING & EYE-CATCHING CARDS DECK? You will love our custom cards printed on 350gsm glossy artpaper with laminated, round corner, custom box printed on 350gsm white card or 157gsm glossy paper pasted 1000gsm paperbard with vibrant color printing delivered to your doorstep in 8 to 15 days from proof approval, which box can be UV coated to give your cards deck that luxurious high gloss finish, or logo and titles hot stamping, embossed/debossed looks elegant.